The 26th Annual Meeting of the Asia-Pacific Parliamentary Forum (APPF-26), themed “Parliamentary partnership for peace, innovation and sustainable development”, opened in Hanoi on January 18 with three key meetings scheduled for the day. The APPF Executive Committee, which is responsible for matters relevant to the management of the event, is composed of representatives of two countries from each of the APPF´s sub-region. The current Executive Committee members are Russia and Mongolia (representing Northeast Asia), Indonesia and Laos (Southeast Asia), New Zealand and Papua New Guinea (Oceania), and Chile and Canada (the Americas), along with representatives from the current and upcoming host countries. 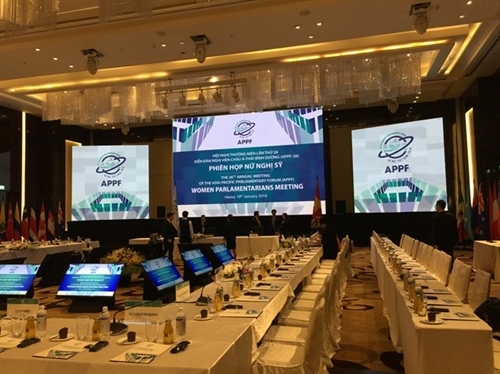 Scheduled to last until January 21, the APPF-26 also features four plenary sessions on the topics of politics-security, economics-trade, regional cooperation in Asia-Pacific, and the future of APPF.